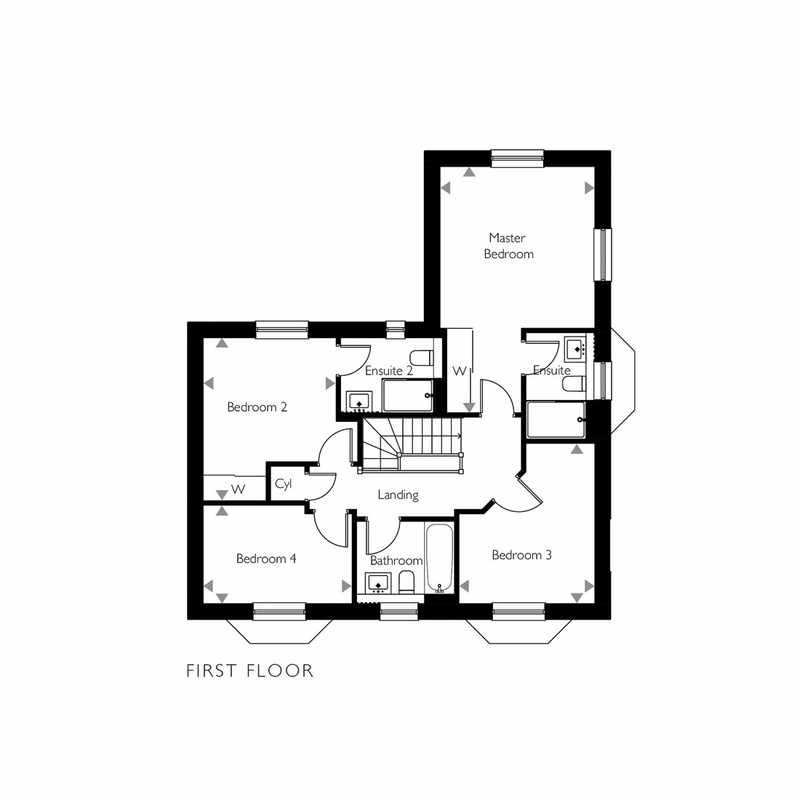 This elegant home by Hayfield Homes is perfect for families. 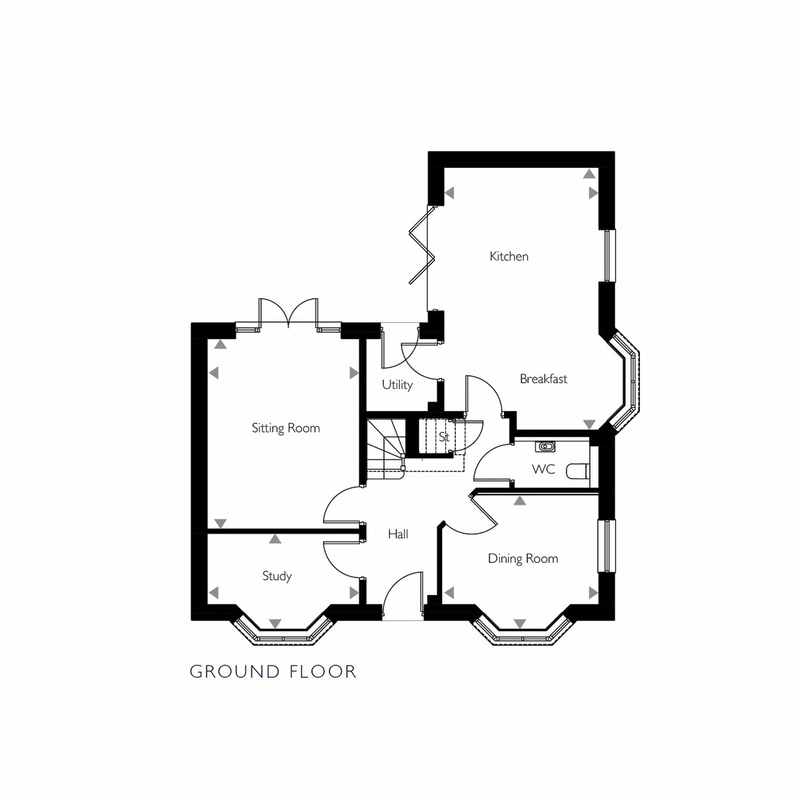 The ground floor comprises entrance hallway, sitting room, dining room, study, breakfast kitchen, utility, W.C. On the first floor there are four double bedrooms, two ensuite, a family bathroom, rear garden, parking and double garage. Hayfield Homes bring an outstanding collection of new homes offering the whole package; thoughtful design, quality craftsmanship and a picturesque location just 3 miles from the centre of Worcester. Hayfield Homes' passion for housebuilding is shown in the thoughtful designs that unite with contemporary interiors. The considerations given to each and every home flows all the way from the sophisticated specifications down to the finest details. The Kitchen is equipped with wall and floor cabinets by Manor interiors, quartz worktops, fully integrated Bosch appliances including induction hob, dishwasher, two ovens (one with microwave function), fridge/freezer, warming drawer and hot tap. Throughout the breakfast kitchen, utility, hallway and W.C there are Minoli ceramic floor tiles. Bi-Fold doors to the Breakfast Kitchen opening to patio. Contemporary Laurfen bathroom suite with chrome fittings, chrome heated towel rails in bathroom, en-suites and W.C, Mirror with shaver socket in bathroom and en-suites and Minoli ceramic wall and floor tiles. Hammonds built-in wardrobes with mirrored doors to bedrooms 1 & 2. Glazed internal doors to ground floor, Heritage bronze ironmongery and hinges. A mix of chrome, white and heritage bronze electrical accessories throughout. Turf to front gardens with feature planting and turf to rear, closeboard fencing and access gate. Pictures show a typical Hayfield interior. Hayfield Meadow holds a prime position in the charming village of Hallow, a popular area for families and those searching for countryside ambience and an active community.